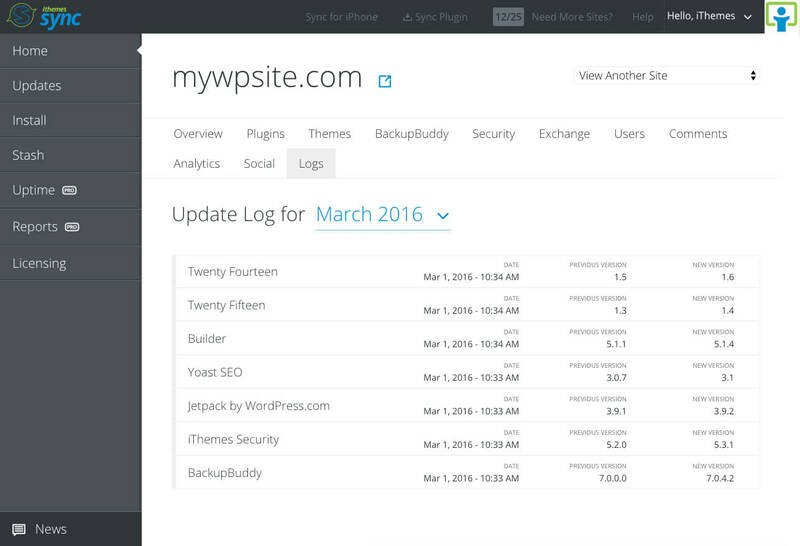 iThemes Sync allows you to manage updates (and more) for all your WordPress sites from one convenient dashboard. To keep track of updates that are made to your plugins, themes and WordPress core, Sync provides a handy WordPress update log. In Sync, your WordPress update logs are organized by site. Logs are then divided into months, so you can easily keep track of monthly update activity. If you’re new to Sync, you can start managing 10 sites for free now. Check out the Sync quick setup guide to get started. 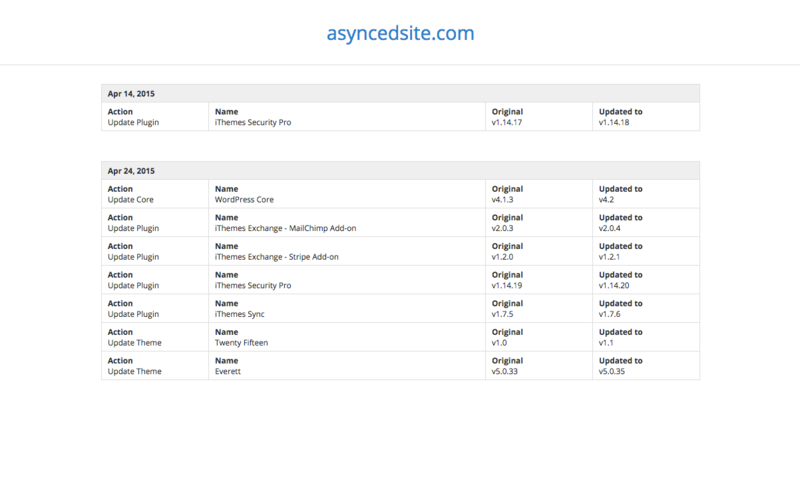 Once you’ve added sites to Sync, Sync will start logging update actions performed from the Sync Dashboard. Click on any site in your Sync list. From the Site Detail view, click on the “Logs” tab. From the drop-down, select the month to display the update logs. If you’re managing WordPress sites professionally and need more in-depth reporting and update logs, check out iThemes Sync Pro. Sync Pro is designed to help you offer monthly WordPress maintenance packages to your web design clients, showing all the work you did to keep their WordPress sites updated and running smoothly. Start managing 10 sites completely free with iThemes Sync today. Sync makes it easy to manage updates, log updates and a ton of other time-saving features to make WordPress maintenance easy. See all 20 ways Sync will save you time in your WordPress workflow.